Breanne Mastromarino N'19 I don't even know where to begin....It's where I met my best friends and roommates! It was a fantastic way to relax and mentally prepare myself for the exhilarating college experiences to come. I bonded with other freshmen and began developing relationships with upperclassmen who shared the same faith background as me. i couldn't help but lead it the next year! Such a wonderful experience. Gabbie Ramos N'20 Even though I was only there for a short while because of other scheduling conflicts, NOVUS was the best way to start college. I left my home in North Jersey and immediately transferred into my new home: the Penn Newman Catholic Community. I was able to connect with upper classmen role models, parish staff, and classmates who are all on the same journey towards the cross as me. When classes started and schedules got crazy, I already had my foundation in my Catholic faith situated at Penn. It was the greatest experience to be there, but I still see the blessings on it every day in my best friends who I met through this retreat. Joe Dembik C'18 I met my best friends of the past 3 years on Novus, and it showed me that practicing my faith in college was possible and easy to do thanks to all the other people who are there to help you! I have grown deeper in my faith and as a person at Penn in large part because I have the love and support of all my friends at the Newman Center. Theresa Dierkes N'20 What better way to start your college experience than with God! Novus was an opportunity to connect with the upperclassmen and brothers at the Newman center as well as God and my fellow Catholic classmates! I met three of my best friends on Novus and they have been my rock when school gets tough. Since I was able to solidify these friendships and be an active member in the Newman community before the stress of school came along, I now have that foundation to go back to when I need it most. Novus ensured me that the Newman center is always there for my studying, relaxation, spiritual, mental, and physical needs. The liberal university was a shock for me, but since I went on Novus and became acquainted with the Newman center, I know that when the going gets tough, I always have somewhere to go where I can feel safe and somewhere I can go where I will simply be loved for who I am. Newman is a center based on God and the people that love him the most and it has become my home away from home. Michelle Nigro C'20 The transition to college is intimdating, but I could tell within the first few hours of Novus I had a home at the Newman Center were I could make genuine connections with others and find support when times were tough and people with whom I could celebrate and share the good times. Nouvs allowed take a breathe before college began and think about how I would grow not only in my relationship with God and my faith, but also how I wanted to grow as a student and Daughter of Christ. It was such a fun time, and I highly recommend the experience- I do not know what my freshmen year would have been like without Novus!!! Claire Foster N'20 For me NOVUS was so much more then just a preorientation program. It is where I found my home away from home, it provided me with the support I needed to keep my faith strong at college, and it's where I met my best friends, without whom I don't know how I would survive Penn. Choosing to go on NOVUS was one of the first decisions I made as a college student, and it is definitely one of the best. Romero Santiago C'15 As a Penn alum from the Class of 2013, I must say that the NOVUS retreat was the best decision I ever made, as the people I met there helped me so much with the transition from high school, especially since I was from the Houston area and that was the first time that I had been so far away from home. Everyone at Novus became my family and it really helped me enjoy my undergrad experience. Newman always was my place to recharge during a hectic week, and Novus was such a nice way to initiate this special fellowship. I cannot emphasize how valuable Novus is, and I truly hope that you take advantage of this special opportunity! Always remember, once a Penn Newmanite, always a Penn Newmanite!!! I am still in touch with many of the Newman friends I made from Novus and beyond. 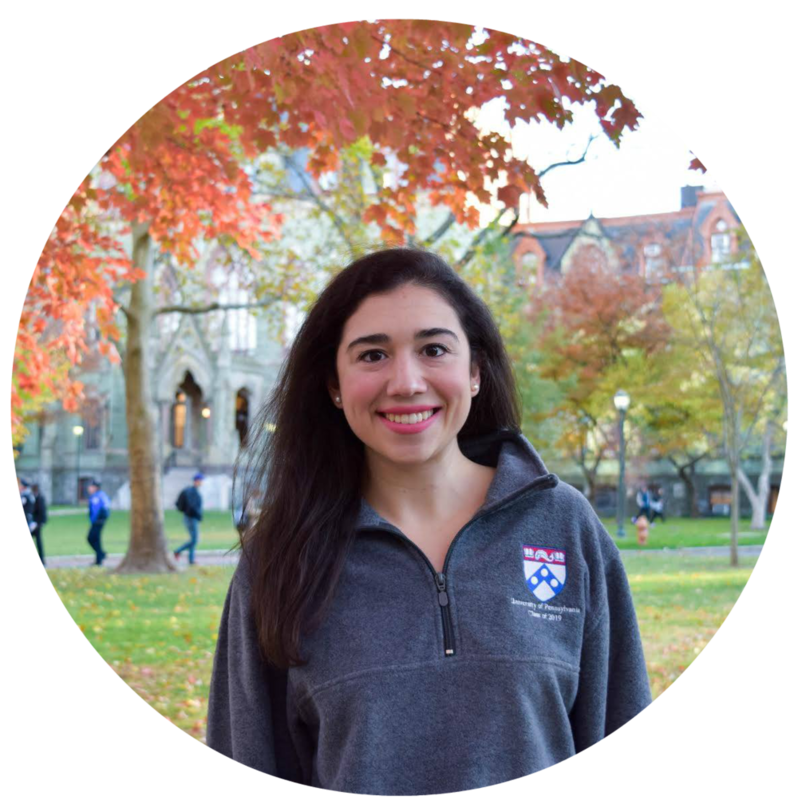 Gretchen Bednarz C'19 Throughout my time at Penn, my experiences at Novus and Newman as a whole have allowed me to stay connected to my faith and build great relationships while doing so! Novus gave me the strong Catholic foundation I needed while beginning college, and still need as I continue to navigate through college. I met great friends and role models who have played large roles in both my personal and spiritual development.